In the Disney movie Wall-E, a future Earth has been turned into a giant garbage dump, bursting with junk no one wants. That’s what your Web site’s content probably looks like, Brain Traffic CEO Kristina Halvorson told an audience at Mesh Marketing in Toronto. We think of the Internet as an unlimited space that’s ready to receive any content we want to throw at it, she says. Content gets posted without any strategy to guide it, or end goal in mind. Whatever resources that tend to be available are turned into audience-facing content. “Oh look, we have 42,000 PDFs, we’d better put those on our Web site,” Halvorson says, giving a tongue-in-cheek example. While we often talk these days about social media strategies and mobile Web design, the truth is many businesses don’t have a good grip on their Web 1.0 content strategies yet. It’s become a dumping ground. In Disney’s dystopian vision of the future, Wall-E is one of an army of trash-collecting robots left to clean up the world. But you probably can’t rely on a robot to clean up the content of your Web site. 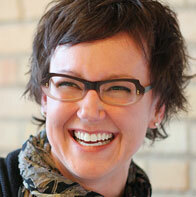 So Halvorson has a five-step process that will help you get there on your own. Literally put all of the pages of your Web site into a spreadsheet and detail the content on it. This will help you get insight into the current state of your content and determine where you want to go. If your site is huge, you may need a spider tool to help audit it. You can also take a piecemeal approach, auditing one section of your Web site at a time prioritized on what’s most important to your business. Apply some journalistic questions to your own activities around content strategy: Why? When? How? When? For whom? By whom? With what? Where? How often? What next? This stage is about figuring out the tactics to pursue your content strategy, Halvorson says. Ask: “Are we doing it because we have a clear understanding of how we’re going to affect our business outcomes?” she says. If you run into opposition in meetings with your colleagues (and you will) don’t give up. Use the phrase “tell me more about that” when you hear something can’t be done and figure out what you can give them that will help move the process along. 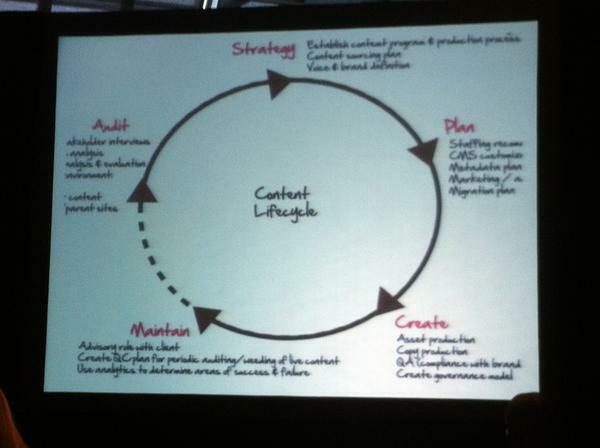 Online content has a lifecycle, Halvorson says. Create a content strategy for up to 36 months from now, but keep in mind you’ll have to actually tactically execute this plan with the resources you have on hand. Remember that online content isn’t like print – you don’t just publish it and move on. It lives in a dynamic space and you’ll have to maintain it over time. Don’t become defeated by the process of creating that gigantic spreadsheet. Keep in mind that when you complete this work, you’ll be in control of your content and be making good on a content strategy.